Mobilization Manager offers emergency managers a comprehensive overview of transportation resources. 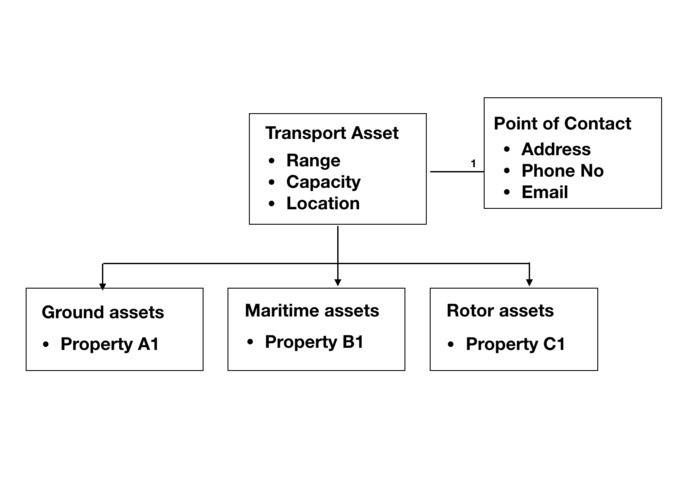 The most relevant properties for planning of transportation assets are their range, capacity and location. During September 11th, immediately after the first attack, the captains and crews of a large number of local boats steamed into the attack zone to assist in the evacuation efforts. The non-government assets could have been utilized in a more effective way if they were more planned with appropriate communication. After a disaster, emergency forces are normally lacking a comprehensive list of available resources at hand. It makes the mobilization of different transportation assets a major challenge in the first 48 hours of an emergency. In large scale disasters that exceeds traditional capacity, knowing the capacity of non-traditional resources from private contractors and resources of different governmental organizations can be invaluable. 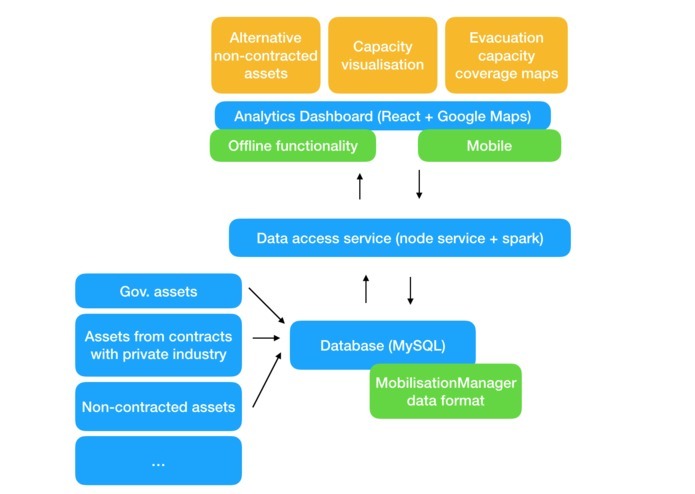 Mobilization Manager delivers a data fusion platform for transportation asset analysis, enabling emergency officers to have a comprehensive list of all available transportation resources in one system. Data of governmental resources, resources from private contractors, and potential, not-yet contracted resources are displayed in one overview. Mobilization Manager allows you to visualize and search through transportation assets crucial for the first disaster response. It allows analytics for evacuation coverage and enables a better first-response preparedness. Static evacuation capacity per evacuation zone with an arbitrary radius and epicenter. 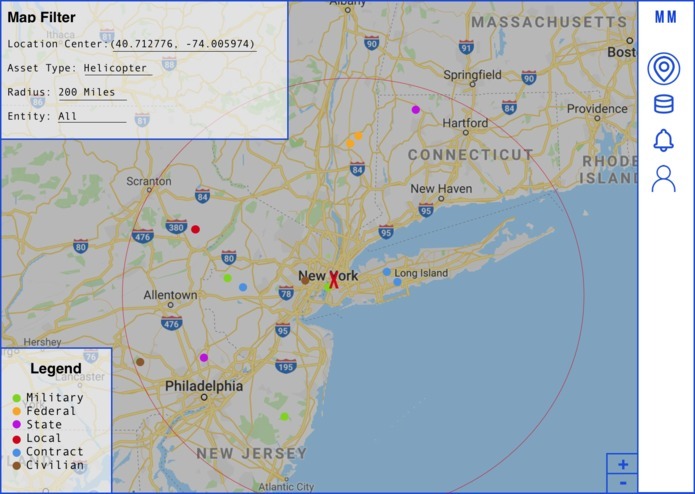 Search and filtering for relevant transportation assets within a radius of a disaster epicenter. Synchronization with relevant data periodically in local storage which enables continuous workflow without interruptions. It also comes as a Progressive Web Application that can be installed on a wide range of mobile and portable devices. The infrastructure is based in a Docker container that can be easily developed at low cost on-premise or cloud infrastructure. Our initial hypothesis was that organizing of volunteers in emergencies is not an a structured process and emergency managers do not have a comprehensive overview of the available volunteer resources during an emergency. As we spoke with the mentors, we realized that the lack extends to every asset that can be deployed to any kind of cloud infrastructure. As a UX Designer, the most important process for me is the discovery phase. If design lacks usability and doesn't solve for pain-points, then it's useless. My favorite contribution was being able to talk to mentors to better understand their thought process, pain-points, and general knowledge to apply to the product and visual conception. I worked on the frontend of the landing of our product.